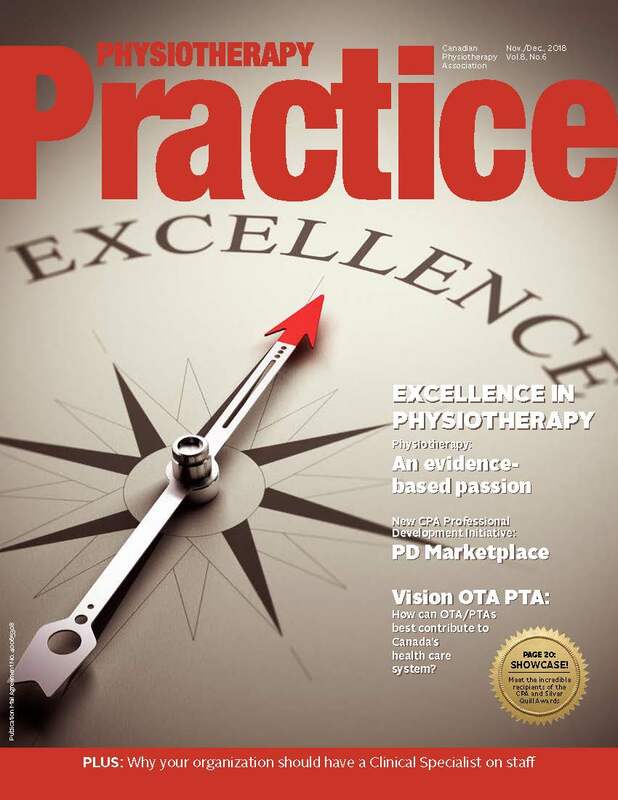 Physiotherapy Practice is the CPA’s member magazine. Launched in 2011, it focuses on practical matters related to the practice of physiotherapy. 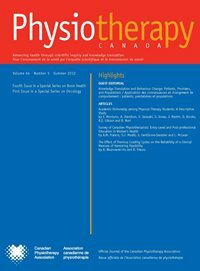 Published six times a year, Physiotherapy Practice is an important source of practice news and information about advances in the profession. Physiotherapy Canada is the official, peer-reviewed journal of the Canadian Physiotherapy Association (CPA). Founded in 1923, the Journal gives direction to clinical science and reasoning, knowledge translation, therapeutic skills and patient-centred care in physiotherapy. Physiotherapy Canada is published four times a year and is indexed in several major international databases. For more inforation, visit the Journal's home page hosted by University of Toronto Press. CPA members can access the full archive of issues here.